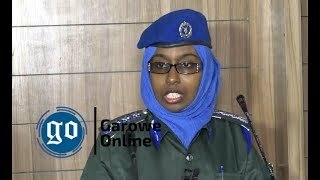 LASANOD, Somalia August 28, 2014 (Garowe Online)-Heavy fighting has raged in the outskirts of Sool region town of Saah Dheer of northern Somalia in the early hours of Thursday morning, Garowe Online reports. 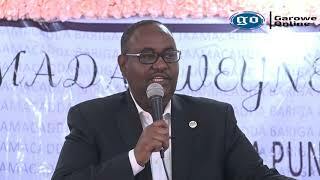 The ongoing battle broke out after Somaliland’s separatist administration launched pre-planned raid on the town, sources stated. No casualties have been reported and communication lines still remain severed. 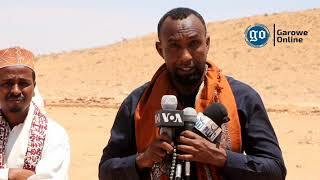 The local forces of Khaatumo are said to have engaged in gun-battle with Somaliland forces on the frontline, some a few kilometers away from Saah Dheere where Ali Khalif Galayd, the newly elected President of Khaatumo mini-state was being inaugurated. Pro-Somaliland news sites have reported that inaugural ceremony participants fled in advance of the ongoing onslaught but GO was unable to verify which side has gained the upper hand in the fighting. On Wednesday, three planes carrying delegation from Mogadishu and Nairobi landed at airstrip in Buhotle. In attendance at the inauguration of Galaydh were Mogadishu clan elders, politicians and Federal MPs. Khaatumo seeks substantial autonomy without Somaliland and Puntland influence. 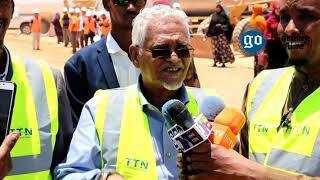 It has long called for the removal of Somaliland troops from Lasanod. Somaliland militarily seized Sool regional capital of Lasanod in October 2007. Ever since, locals have been battling separatist administration’s army via guerilla warfare in Sool. 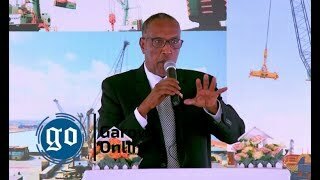 Puntland and Somaliland have fought sporadic battles since 2002 over the control of territories mainly in Sool region.